I LOVE Instagram. It’s probably my favourite social media app. I love the creativity some people get with their feeds, and the simplicity of it. 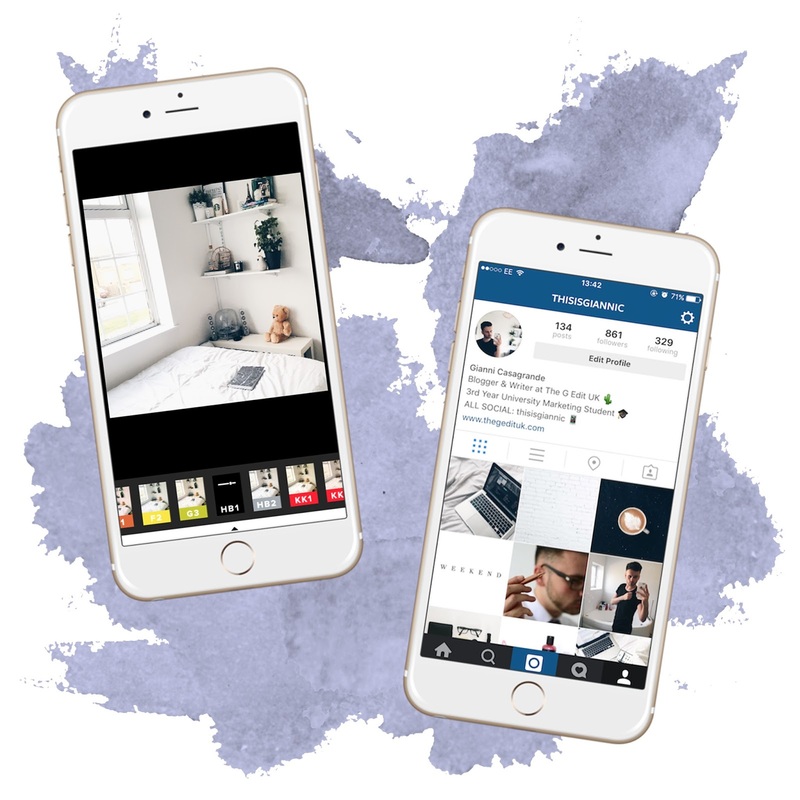 Over the years, Instagram has been a place friends could share snaps of their life, and now changed to a whole industry and business for creatives. Today I thought I’d share with you, how I edit my photos. I try to keep to a white theme, and there are a few steps on to how I achieve this. There are two main types of photos I take on my Instagram. I’m not sure what the proper ‘photography’ term is, but I call it a birds eye view photo. This is simply a downward shot, where you can easily lay out products, pictures etc. This is a typical blogger shot I think! The second is a wider angle photo. I do this for shots of my bedroom, shelves and landscapes. I also take around 4-8 photos to make sure I get the right one, sometimes one’s a little out of focus or not framed correctly, so take as many as you can to get the right shot! Upload to your chosen editing tool. When it comes to editing my photos, I swear by VSCO Cam. This is an app you can download for free, then purchase within the app different filters and effects if you want to. It gives you the freedom to completely transform your images such as sharpness (TIP! I always increase the sharpness every single time, it makes it stand out so much more on smaller screens), brightness, shadows… you name it! When it comes to filters, 9/10 times I use the HB1. This intensifies the whiteness and shadows in my photos giving it that clean simplistic, minimalism effect. Then when I upload the photo onto Instagram, I’ll do some last minute adjustments on the Instagram editing page, just increasing the brightness or a last minute sharpen, and BOOM. Upload. I’m far from one of those people who spend a lifetime editing, that’s the beauty of VSCO. Simple and easy. 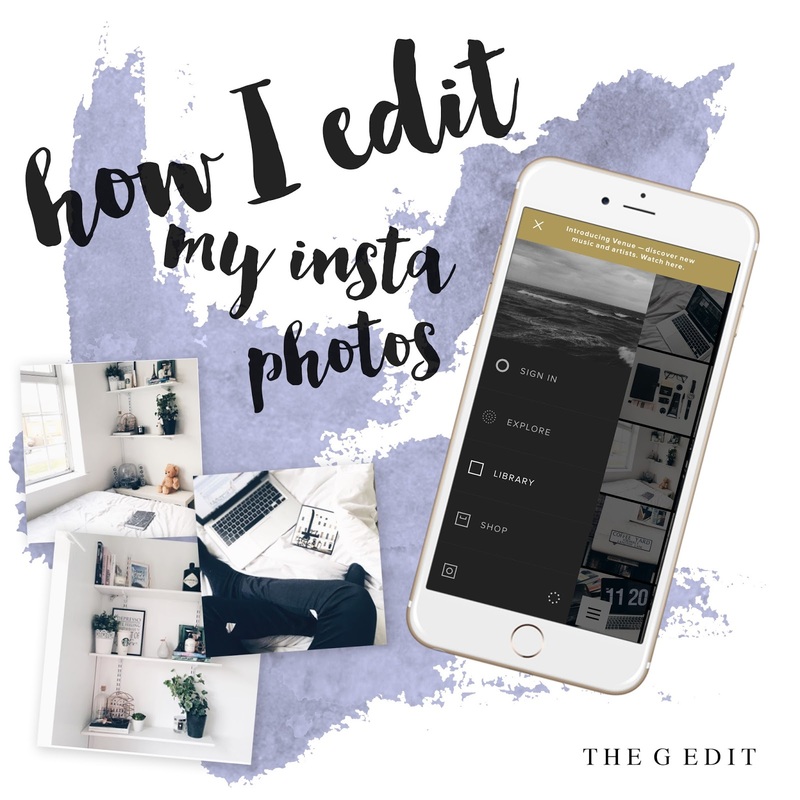 I hope you liked this little insight post and it’s given you a few tips on how to edit your Instagram photos.